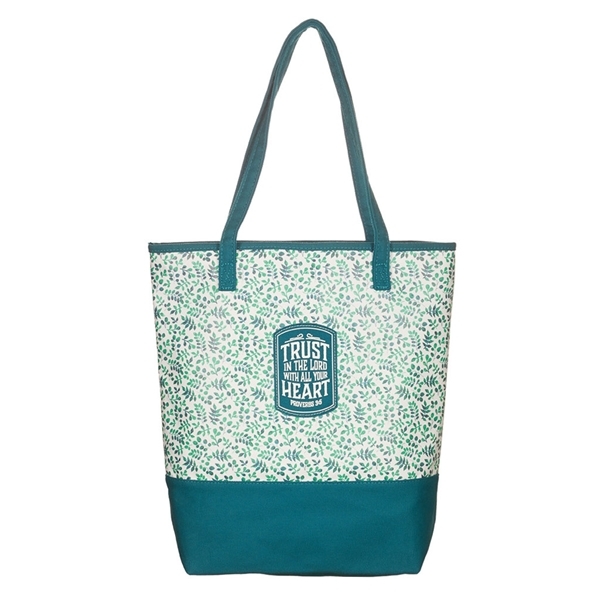 Inspired by Proverbs 3:5, this tote bag reads "Trust in the Lord with all your heart" on the front and is teal and white in color. 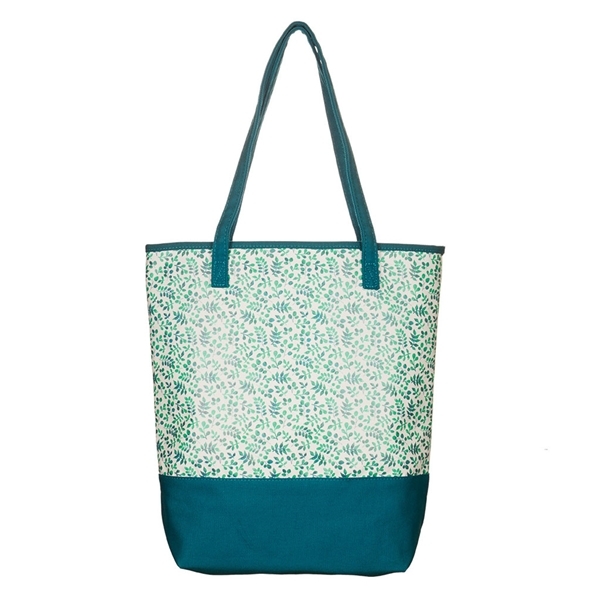 This tote bag is made of a sturdy coated poly-canvas print with complementing solid colors in untreated canvas for the bottom, trim and handles. 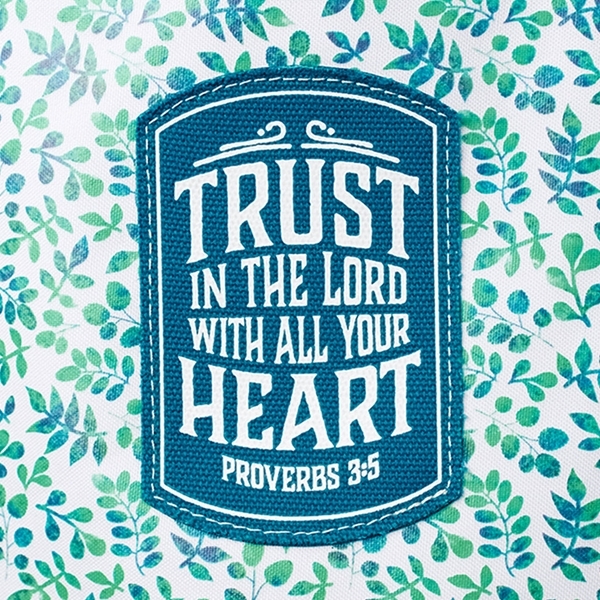 The long handles allow for shoulder carry. 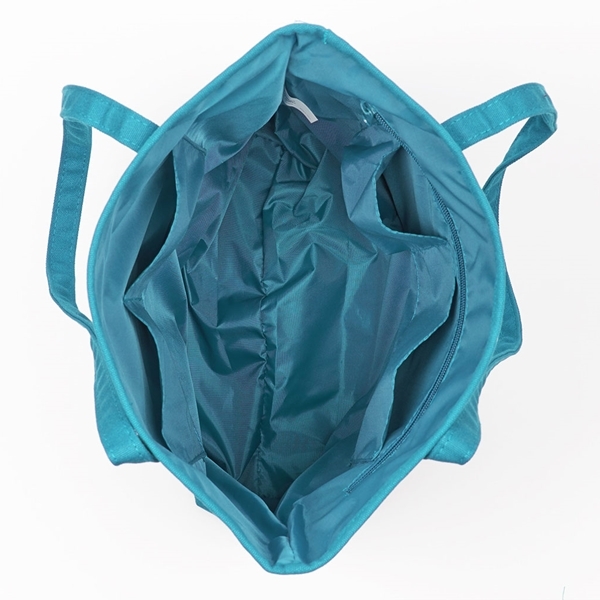 Polyester lined, the interior has a zipped pocket and 4 slip pockets - one of them designed to accommodate your mobile phone.